2017 was a hard year. The beginning of the year brought hopes of a new job, but I had to wait quite a while to receive my security clearance. The beginning of the year brought the unexpected death of a good friend and mentor. The Spring brought progression farther up the line in the Grand York Rite of Idaho. In the middle of the Summer, I started a new job; I loved the job from the beginning and still do. Just as I felt that I started to get my life back into order, the end of the year brought bad news: my father was diagnosed with Stage 4 Kidney Cancer that had matastecized into his lungs and the prognosis was that my dad was not long for this world. While 2018 brings on many exciting times and adventures, it also brings, lest some miracle happens, the impending death of my father. 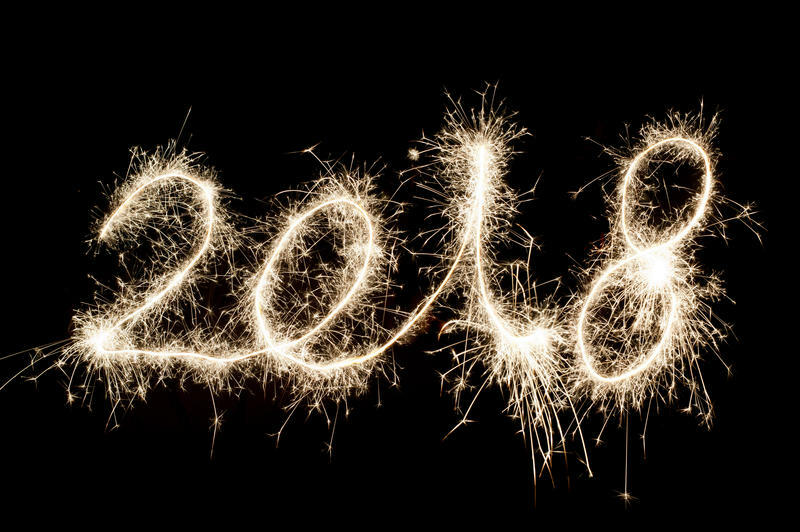 While I am melancholic, I do hope everyone has a very Happy New Years. Well, it has been a busy last several days. Thursday afternoon, I attended the quarterly luncheon for the Past Masters of my Lodge. Thursday night, I was installed as the Excellent High Priest for my Boise Chapter No.3 of Royal Arch Masons. Friday, I drove to Salt Lake City with a Brother to attend a Stated meeting of the Utah College of the Societas Rosicruciana in Civitatibus Foederatis. Saturday I drove back to Boise so I could go to a Christmas party that my aunt was throwing; it had been a long time since that many of my family were able to get together like that. Sunday I presided over the Annual Christmas Observance of Idaho Commandery No.1. Afterward I braved a snowy drive to my parent's house. I spent Christmas Day at my parent's house. With my dad's recent diagnosis, I am taking every chance to be with him. Later I visited my aunt and then my older sister for Christmas dinner. 150-years ago, Freemasons from all over southwestern Idaho assembled in Idaho City; some traveling up to a week in frigid conditions. It was a noble cause of founding the Most Worshipful Grand Lodge Ancient Free & Accepted Masons of Idaho that these men, these Brothers, faced the vicissitudes and inclemencies of the winter season. Today, Freemasons from all over the State of Idaho gathered together and traveled to Idaho City to honor the actions of our forebearer's and celebrate the 150th Anniversary of the Founding of this Grand Lodge. This event came about from the planning of myself as the Junior Past Master of Idaho City Historic Lodge No.1863, the Worshipful Master of Idaho Lodge No.1 who owns the building, the Right Worshipful Senior Grand Warden, and the Most Worshipful Grand Master. Once we arrived in Idaho City, a lovely 32°F (0°C), the Most Worshipful Grand Master convened Grand Lodge. The Most Worshipful Grand Master then did a public installation ceremony for the Worshipful Masters of Idaho Lodge No.1, Boise Lodge No.2, Placer Lodge No.3, and Silver City Lodge No.13 (created from Owyhee Lodge No.5 and War Eagle Lodge No.6); these Lodges were the founding Lodges of the Grand Lodge of Idaho. We then traveled back to Boise and had a banquet where the Grand Historian and representatives of the founding Lodges gave a history of Freemasonry in Idaho. The food was great as was the Brotherhood and fellowship. It has been a rough few days for my family and I. After I got home from a work trip to Arizona, I was informed that my father has been diagnosed with stage 4 Kidney Cancer. Things are moving very quickly with the rapid progression of this awful disease and my aunt has started a GoFundMe page to help raise funds to offset the massive costs. My request is to pass this along and spread the word. 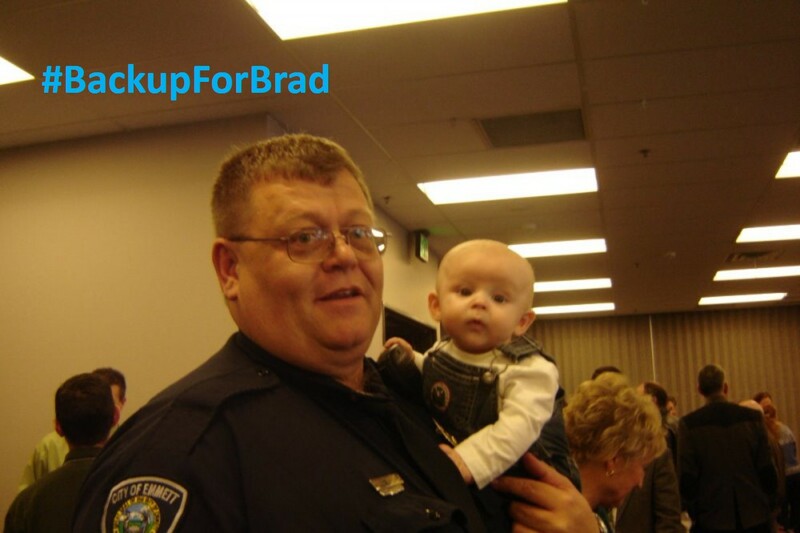 Please, if you can donate any amount it would be greatly appreciated and even if you are unable to donate share this post with all of your family and friends so that we can support my family and #BackupForBrad. The Order of the Red Cross of Constantine is an invitational order of knighthood stemming from Royal Arch Masonry. The basic organization of this order is known as a Conclave and is presided over by the Puissant Sovereign. There can be multiple Conclaves to a jurisdiction which is referred to as a Division and an Intendent General is appointed from the national level which in the US is known as the United Grand Imperial Council and that body is presided over by a Most Illustrious Grand Sovereign. 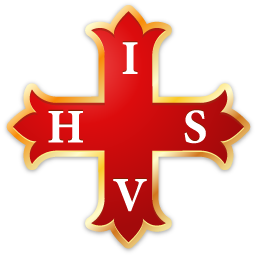 The officers of a Conclave of the Red Cross of Constantine are the Puissant Sovereign, Eminent Viceroy, Senior General, Junior General, Treasurer, Recorder, Prelate, Prefect, Standard Bearer, Herald, Sentinel, and Orator. The first six officers are elected annually and the last six are appointed by the Puissant Sovereign. The presiding officer of the Conclave, and corresponding to the Worshipful Master of a Blue Lodge, is the Puissant Sovereign who represents Constantine. Traditionally, a sovereign is the supreme authority of a government (such as a monarch) a1nd the Puissant Sovereign stands supreme within the Conclave, but is bound by the rules, regulations, statutes, and laws of his Conclave and of the United Grand Imperial Council. "Puissant" is rooted in the Old French word "poeir" meaning "to be able" and is used as an adjective to indicate strength and power. The etymological root of "sovereign" is "superanus" which is Vulgar Latin meaning "chief or principal." Equivalent to the Senior Warden in the Lodge, the Eminent Viceroy sits as second-in-command of the Conclave and represents the Venerable Eusebius. Historically, a Viceroy is a ruler exercising authority in a country, colony, city, province, or sub-national state on behalf of a sovereign. The word "eminent" stems from the Latin word "eminentem" meaning "standing out, projecting, prominent, or high." "Viceroy" is a combination of two Old French words "vice" meaning "deputy or in place of" and "roi" meaning king; roi comes from the Latin "regem" (the nominative form is "rex"). So etymologically speaking "viceroy" literally means "in place of a king." This is accurate of the Eminent Viceroy who assists the Puissant Sovereign in the government of the Conclave. The next two officers are the Senior General and Junior General whom, while elected officers, have duties like those of the Junior Deacon in the Lodge; that of ensuring the security of the Conclave. A general is a senior military officer who commands troops and as a military order it is not unusual to see an officer with a military title within this order. The word "general" comes from the Middle French "capitaine général" which was shortened in the 16th century. Like the Chaplain found in the Lodge, the Prelate has the duty of offering prayers to God in the Conclave. A Prelate is traditionally a high-ranking member of the clergy and the word is derived from the Latin word 'prelatus' referring to a clergyman of "high rank or of preference over others." The Prelate being the senior most appointed officer demonstrates our commitment as a religious order. Just as the Senior Deacon does in the Lodge, the Prefect attends at the altar as well as receives and conducts candidates throughout the Conclave. Traditionally, a prefect is often a magisterial or administrative officer whose authority was conferred upon them by a higher authority. The etymological root of this officer is from the Latin word "praefects" meaning "public overseer, superintendent, or director" which is an accurate description of this officer who oversees the aspirants as they are initiated into the order. The next officer of the Conclave is the Standard Bearer and the Marshal is the closest comparison since the Standard Bearer displays the banner of the order just as the Marshal is the master of ceremonies in the Lodge. Historically in military orders, the duties of the Standard Bearer included being the paymaster and ensuring the equipment (to include the horses) was kept in working order. The inner guard of the Conclave is known as the Herald and can be compared to the Junior Deacon in the Lodge. A Herald was traditionally an officer who conveyed messages or proclamations as well as acted as diplomats or ambassadors for monarchs. This word derives from the old French word 'heraut' meaning "messenger or envoy." As the outer guard of the Conclave, the Sentinel ensures that the Knight Companions are securely guarded. This word is rooted in the Latin word "sentire" translating as "feel or perceive by the senses." While there is no Orator known in the Blue Lodge, many Grand Lodges have a Grand Orator. Within the Conclave, the Orator takes part in the ritualistic initiation and delivers the history of the order to a new candidate. An orator is a public speaker, often known for their eloquence. The word "orator" comes from the Latin word "orare" meaning "to speak."